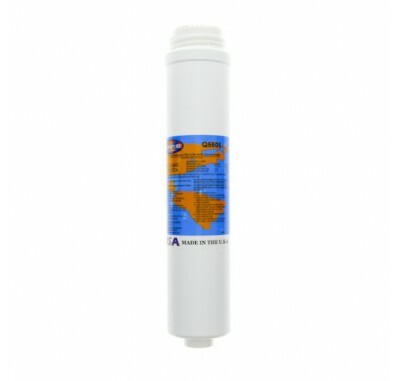 The Omnipure Q5605 water filter is designed for quick and simple installation with a twist of the wrist. Improves the taste of drinking water and cooking water. The Omnipure Q5605 water filter can be used in beverage equipment, Reverse Osmosis Systems, drinking water fountains, ice machines, and other point-of-use applications. Reduces sediment. Easy change system provides a clean method to replace spent cartridges without any mess. Just turn off water & twist to remove filters and replace. Filters should be replaced every 6 months depending on the quality of your water.